Introducing the Carbon Black case. 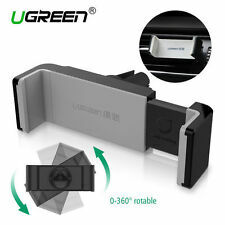 Designed to be not only protective but given a subtle design so as not to affect the appearance of the phone. Due to the round edge of smartphones, the screen protector will NOT cover the full screen, but only the flat area. 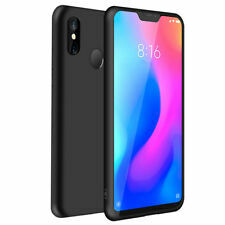 Premium Xiaomi Mi A2 Lite Matte Case in stunning Black colour. [Smooth and Light]: Your phone will remain lightweight and easy to use. 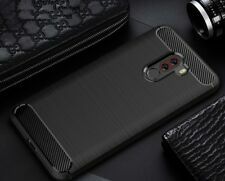 For Xiaomi Pocophone F1 Carbon Fibre Gel Case Cover & Glass Screen Protector. Brushed surface with carbon fibre coated on top and bottom. 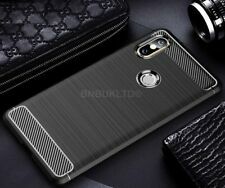 Carbon Fibre Texture Slim TPU Case. 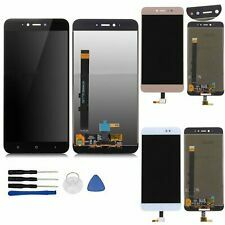 1 X Glass Screen Protector (Case Friendly). Carbon Fibre Texture Slim TPU Case. Brushed surface with carbon fibre coated on top and bottom. 1 X Glass Screen Protector. Sensitive button covers allow responsive great protection. All prices stated are in UK Sterling. Ultra Slim Hard Phone Cover - Matte Black. 1 X Matt Hard Case. Designed to be not only protective but given a subtle design so as not to affect the appearance of the phone. Perfect Fit NO Bulkiness - Slim and Lightweight protective case without adding bulkiness to your phone. For Xiaomi Redmi Note 5 Pro. SLIM FIT LOW PROFILE DESIGN: Made from premium protective TPU Gel, carbon fibre design with brushed effect, this gel case provides bulk free protection whilst maintaining the original design aesthetic of your phone. 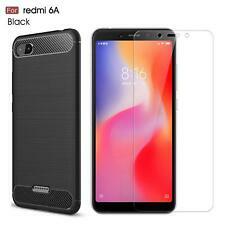 ForXiaomi Redmi 6Carbon Fibre Gel Case Cover & Glass Screen Protector. Brushed surface with carbon fibre coated on top and bottom. Carbon Fibre Texture Slim TPU Case. 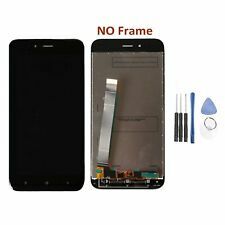 1 X Glass Screen Protector (Case Friendly). Keep your smartphone protected and looking stylish with a black mobile phone case or cover for Xiaomi. Our phones are exposed to numerous bumps throughout the day, as well as other dangers such as liquid spills, heat from the sun and dust. A good case can provide protection against these factors to keep your mobile phone safe. Xiaomi is a technology brand that produces great technology for more affordable prices, with the customer in mind throughout every stage. They use innovative ideas and designs to create new and unique products. Scratches, bumps and other damage make phones more difficult to use. A protective phone case will bear the impact and damage so the phone doesn't have to. 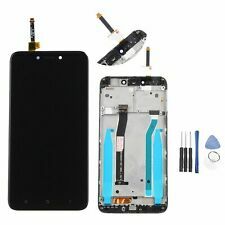 If any damage does occur you can easily replace the case, which is much more affordable than repairing or replacing the phone. Simple black cases and covers are always an easy go-to to keep your phone looking sleek and stylish, but there are also a variety of choices in case types. Close fitting or skin cases are often made from hard plastic, gel or silicone to easily clip onto your Xiaomi smartphone . They are slim in design, so are easy to fit into pockets and bags, and they are often now made from toughened, durable materials. A popular design is a bumper phone case, which has added protection on the edges and corners of your phone to protect from knocks and bumps. The design is particularly effective for those who often drop phones, as the case adds protection from bumps with flat surfaces. Mobile phone wallets are smart and practical, often made from leather or faux leather for a sleek and stylish design. These flip cases usually feature inner card slots so you can carry your important cards with you without needing to carry a wallet. Other styles include clip cases and stand cases that offer dual purposes, such as being clipped to a belt or stood to use for media.